Large imprint area for your logo! 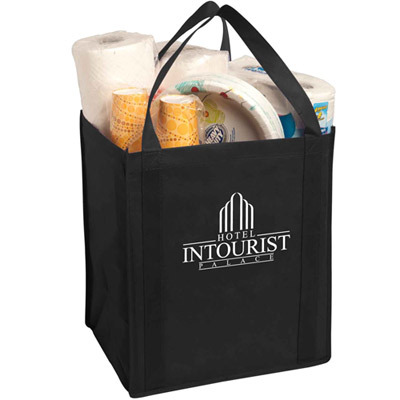 The Promotional Atlas Nonwoven Grocery Tote is a Tote which adds convenience to your life. 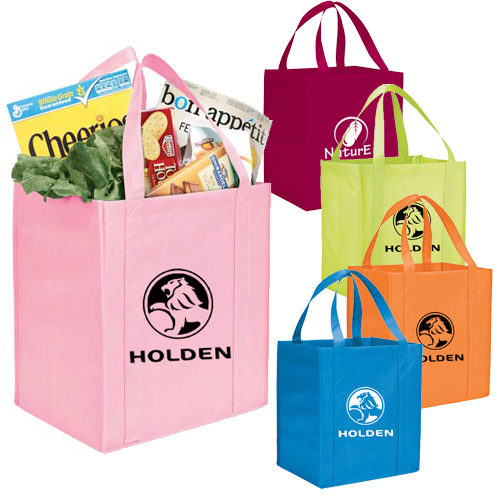 The Atlas Non Woven Grocery Tote has a contemporary design. 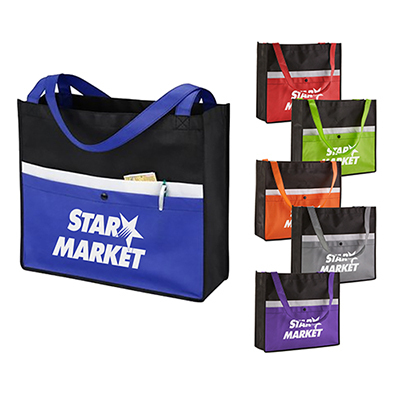 It is an affordable version of the massively popular Titan Grocery Tote. Made from strong 80 GSM Material, it has 20" Reinforced Handles, Covered Bottom Insert, 8" Gusset and it is available in many vibrant colors. "Affordable, durable and eco-friendly. And it gives great results too!" "The grocery bags fulfilled my expectations. " 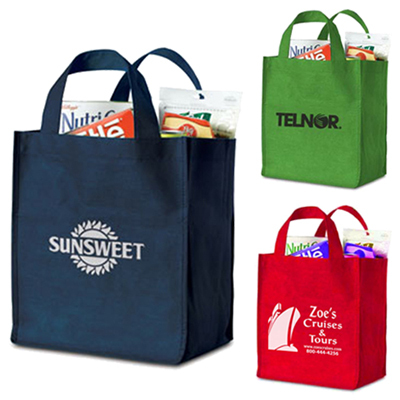 "These totes are stupendous. They fitted my marketing budget perfectly. " Affordable, durable and great for the environment!